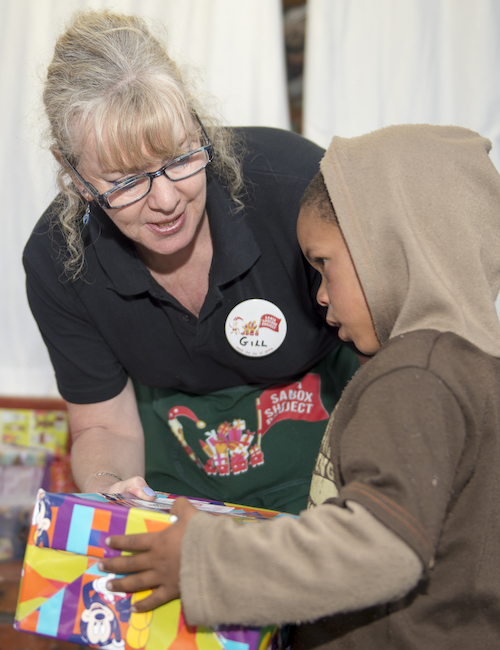 Volunteers are the heart of the Santa Shoebox Project. At the beginning of each year friends, families, colleagues and community members across South Africa and Namibia put their hands-up and offer a few hours per month to share in the SSB mantra of the ‘Joy of Giving’. Step 1 - What do I need to be a Volunteer? Step 2 - What will I need to do? The above can be shared between volunteers as the volume and effort is dependent on how many volunteers and donors are in your area. Step 3 - When does this all happen? Step 4 - What will SSB offer me? Step 5 - Where can I Volunteer? Have a look at the map to see where we have teams in place for this campaign. If you’d like to join – register or update your profile details here – make sure you tick “I want to Volunteer my time” at the top of the form AND under “Nearest Drop Off” either join a team, or if your town is not listed start a new one by selecting ‘Other’. We will receive an alert and be in touch.